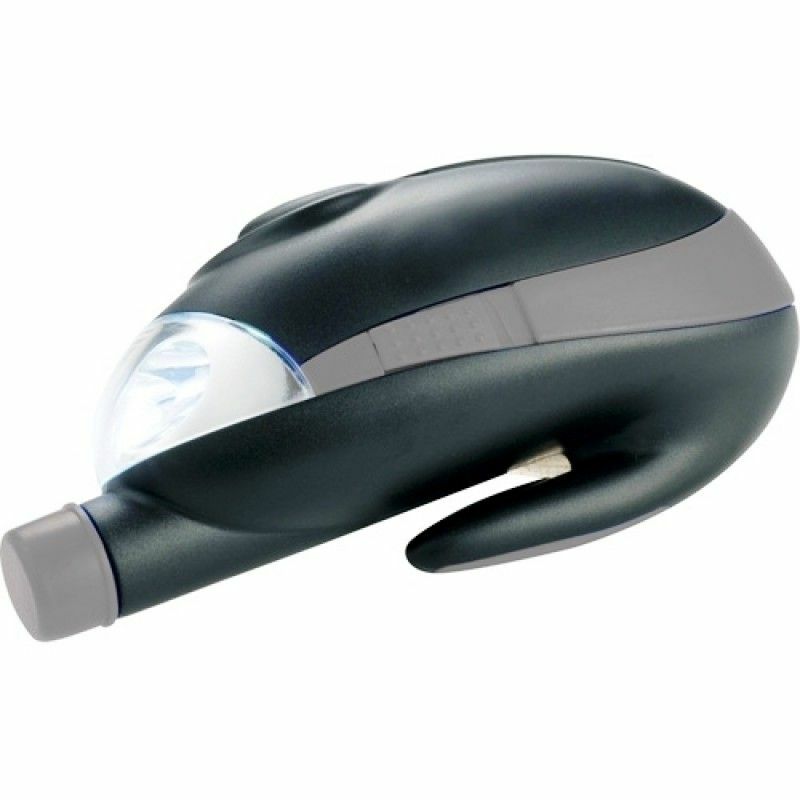 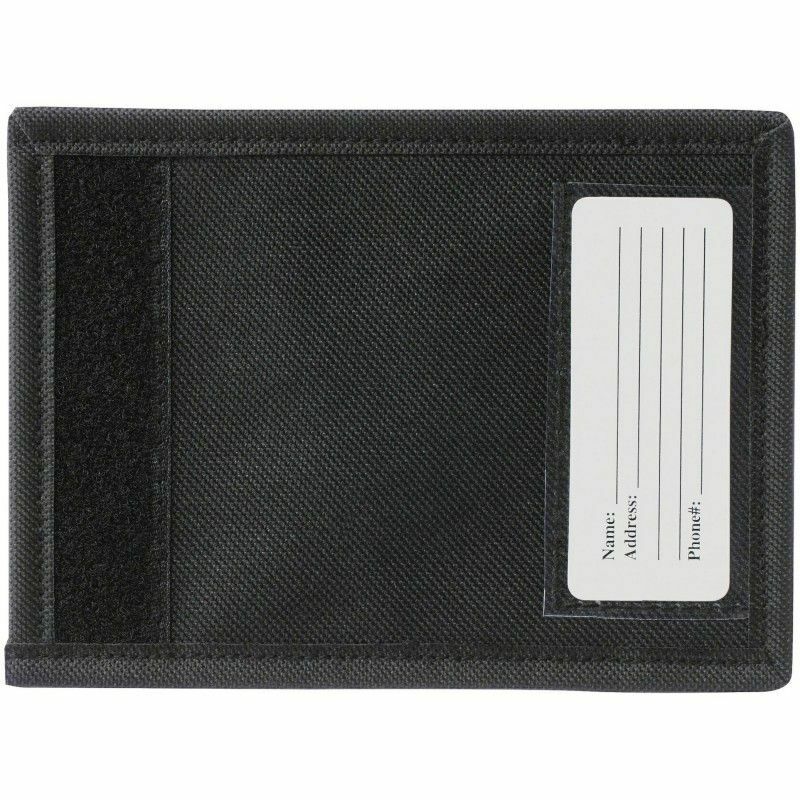 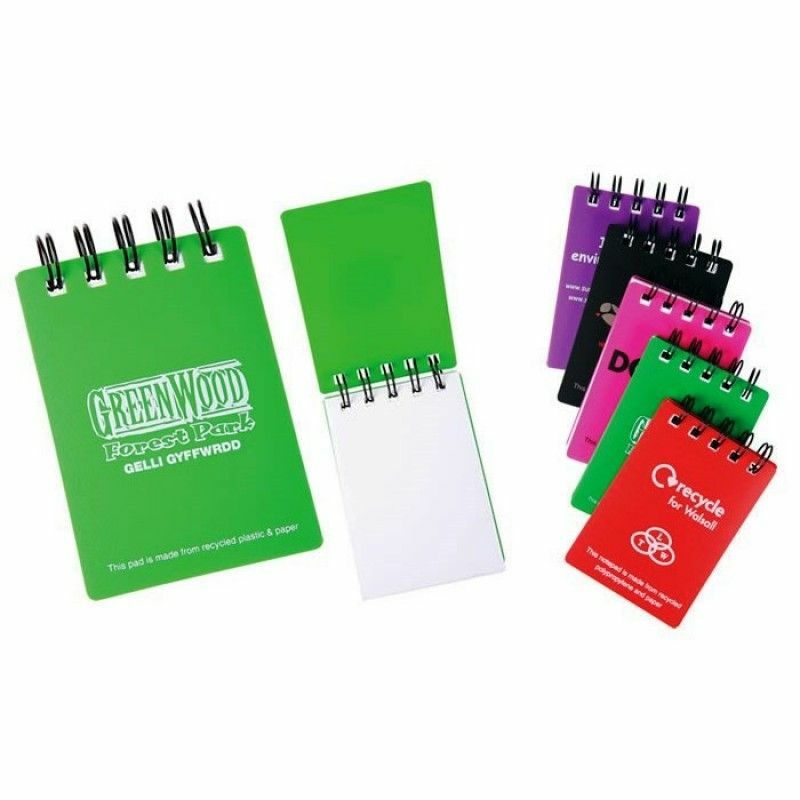 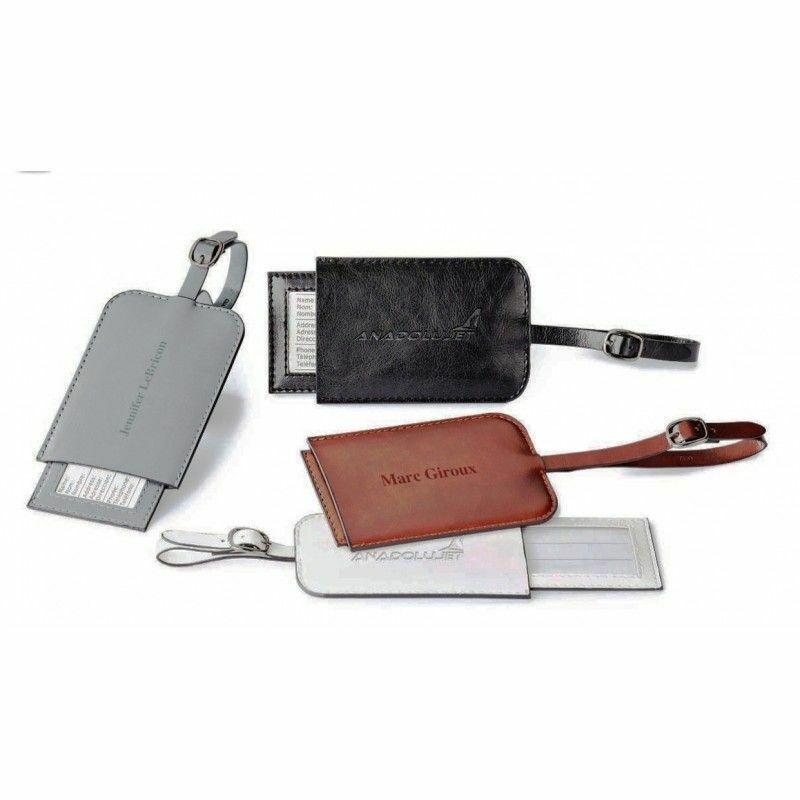 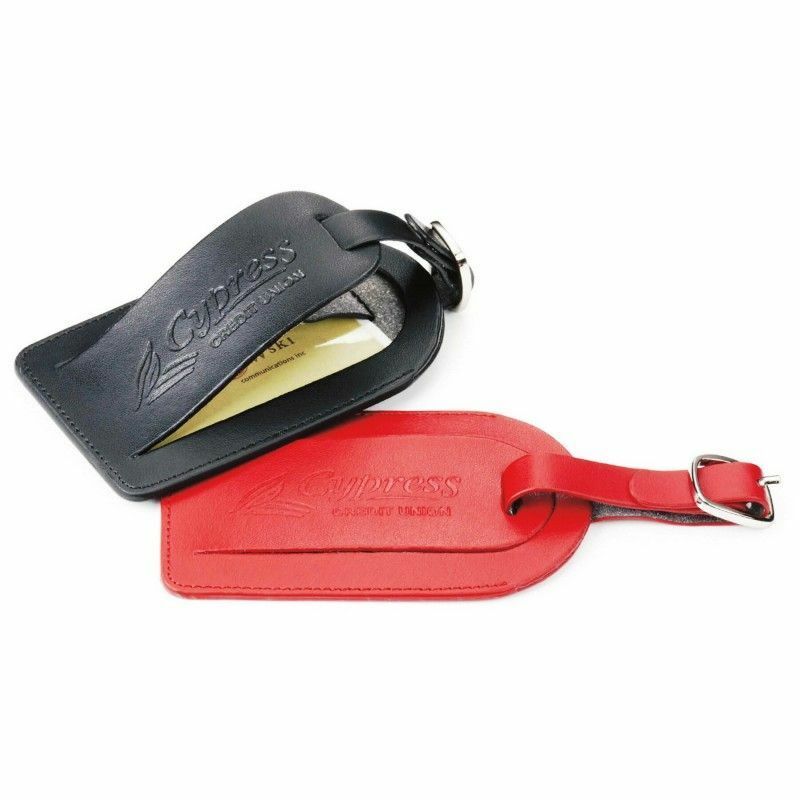 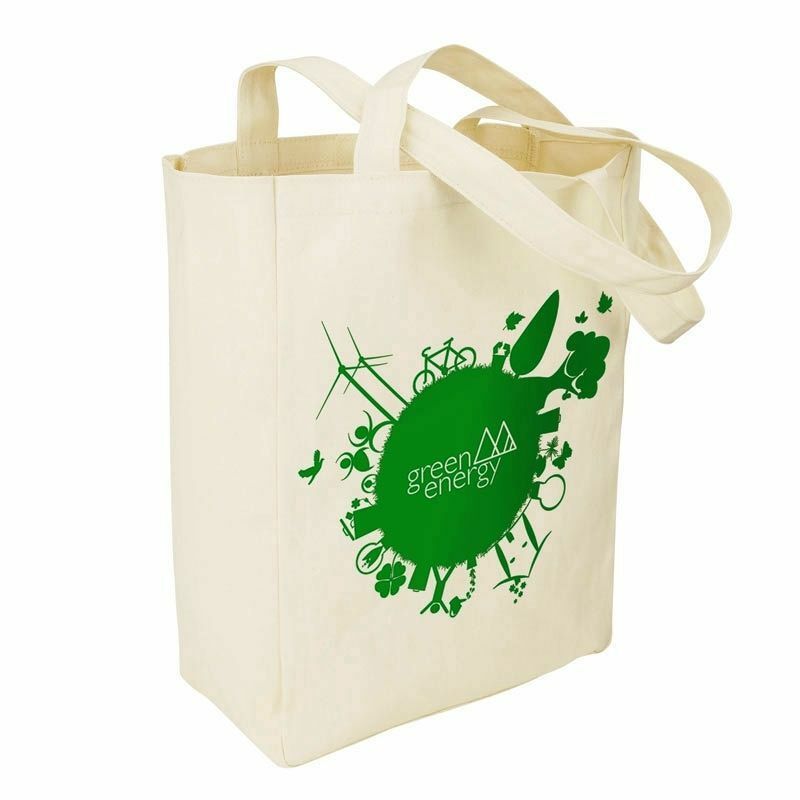 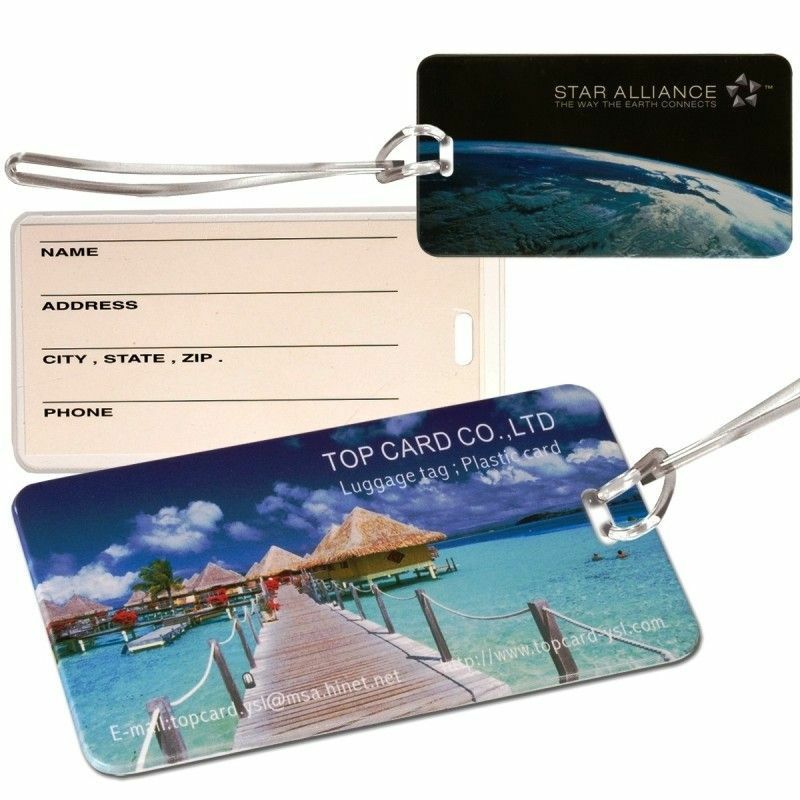 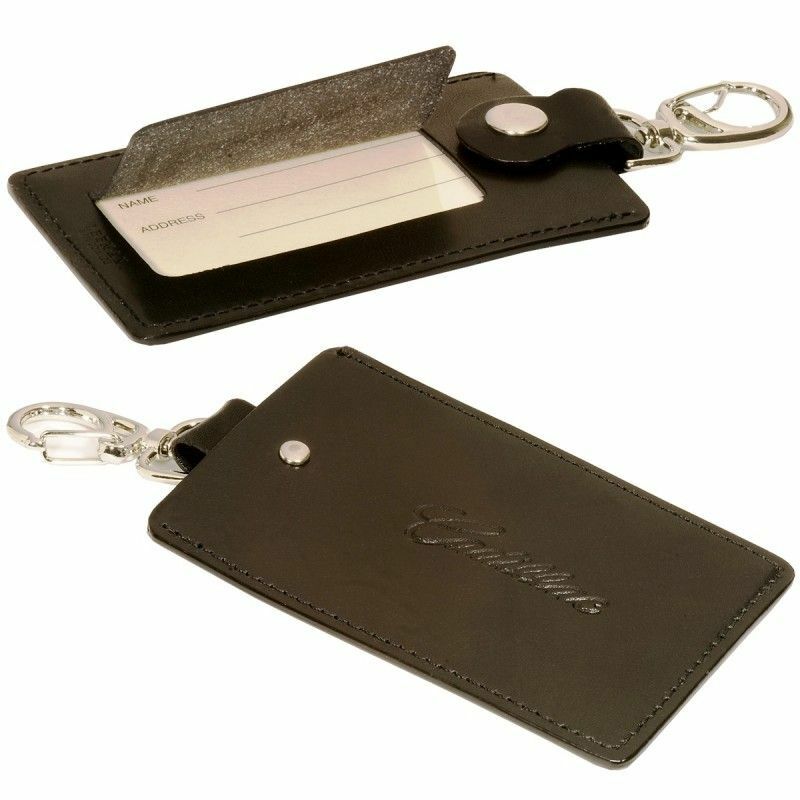 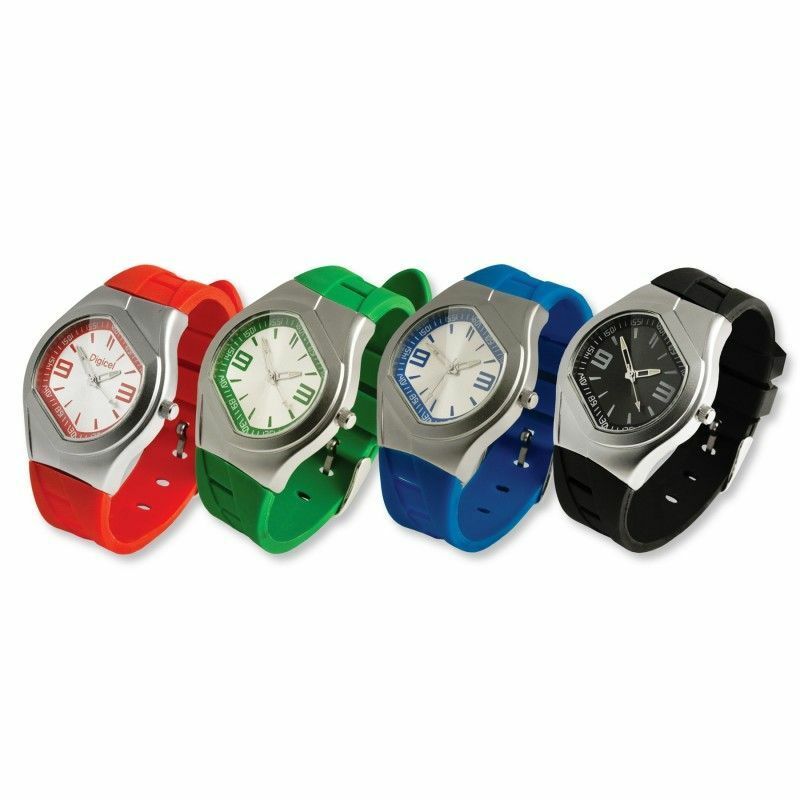 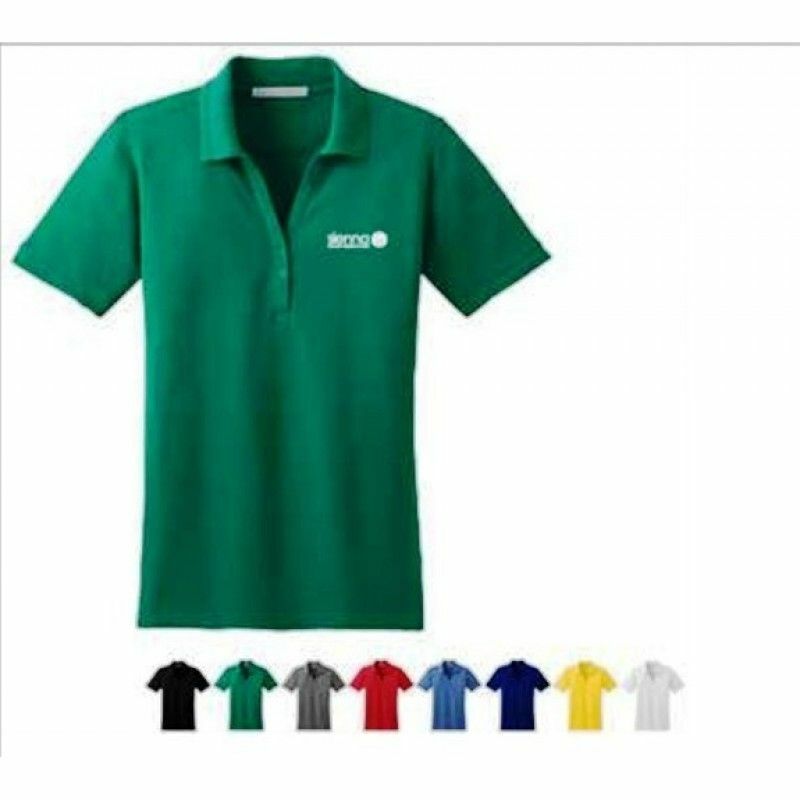 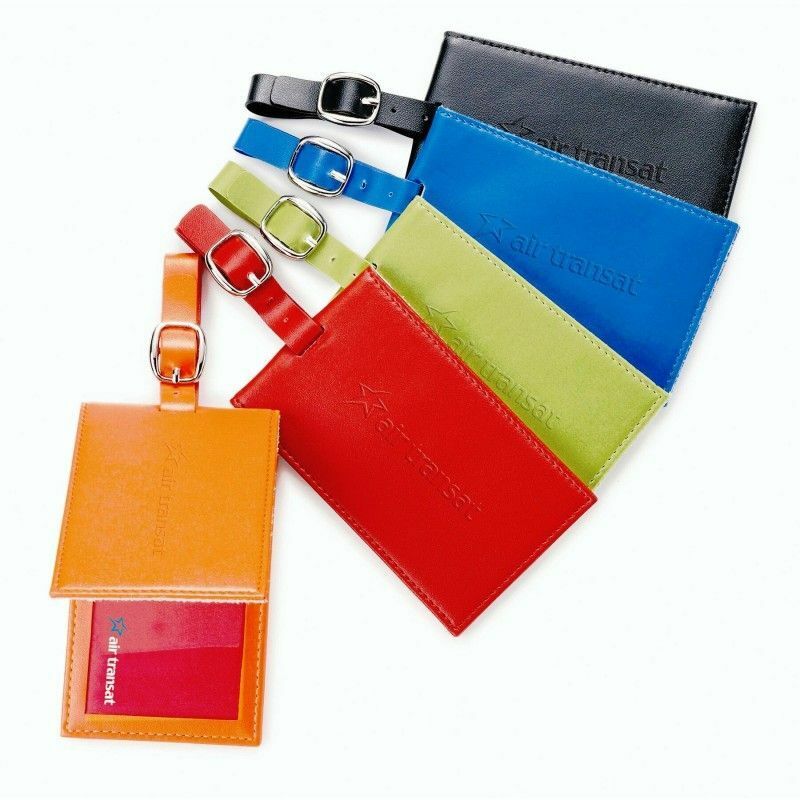 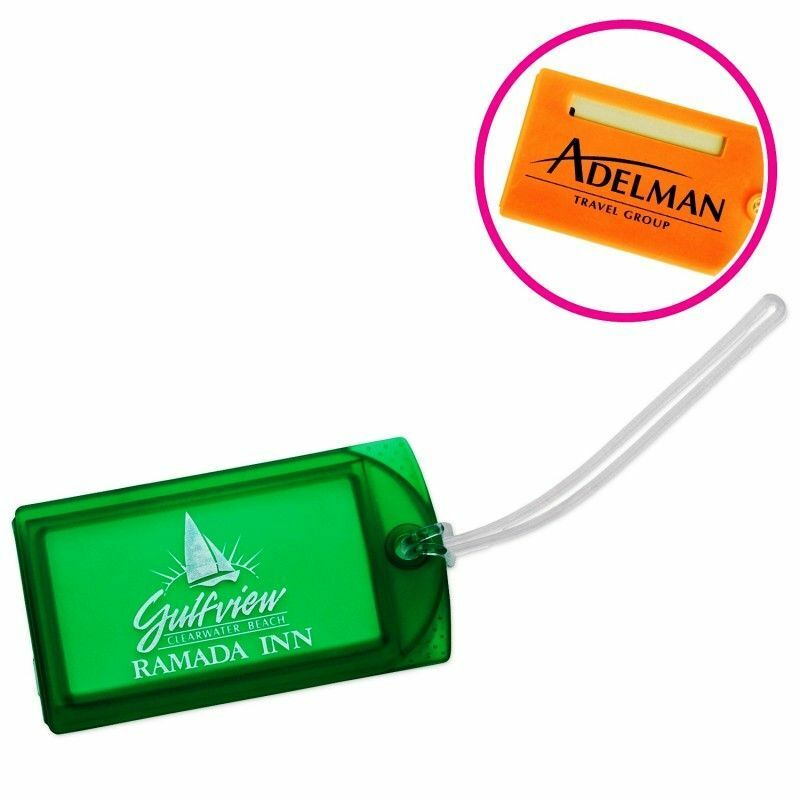 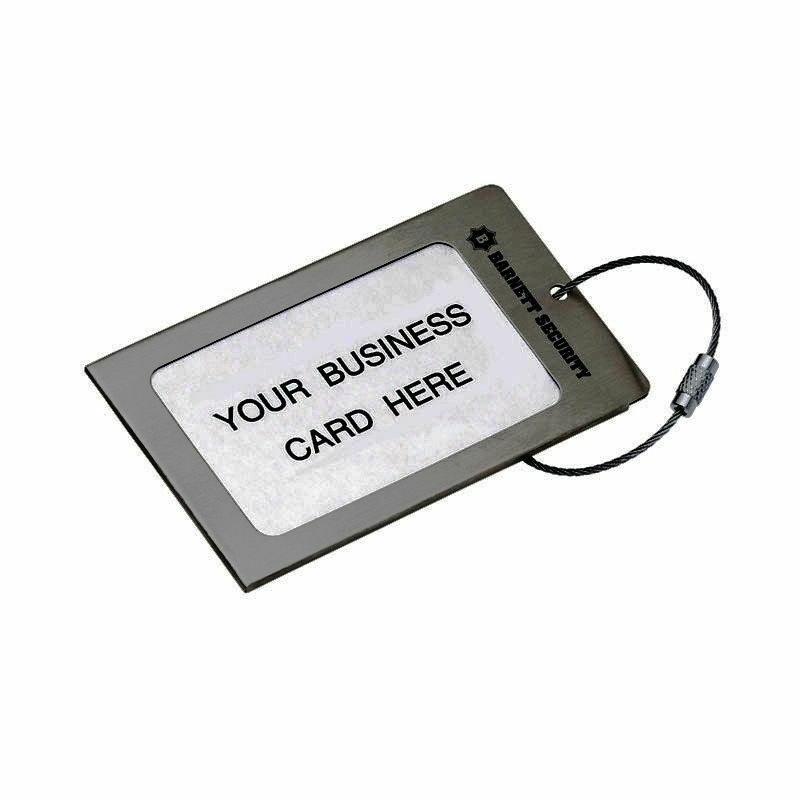 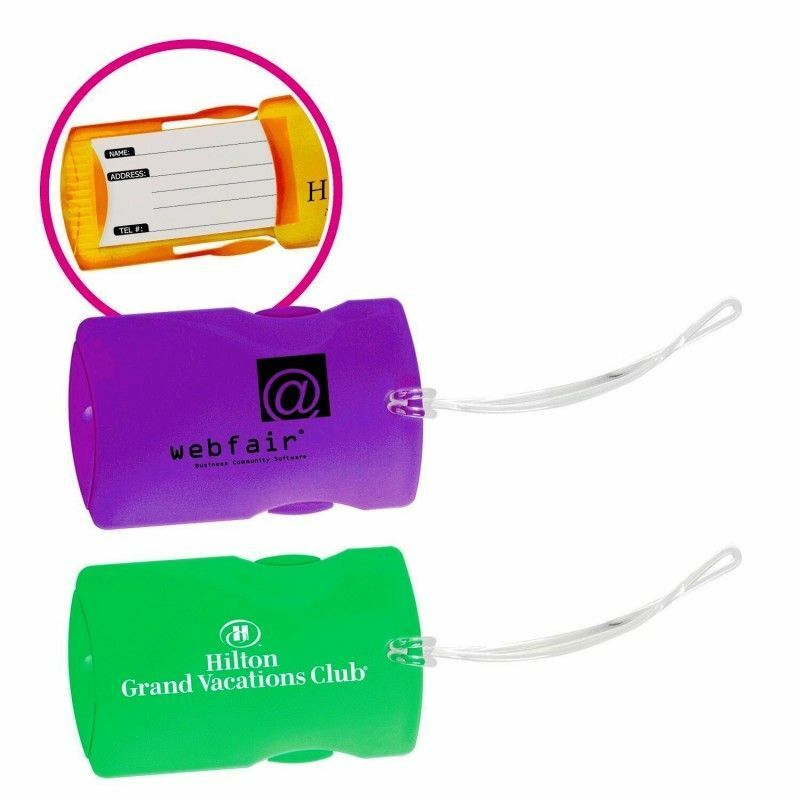 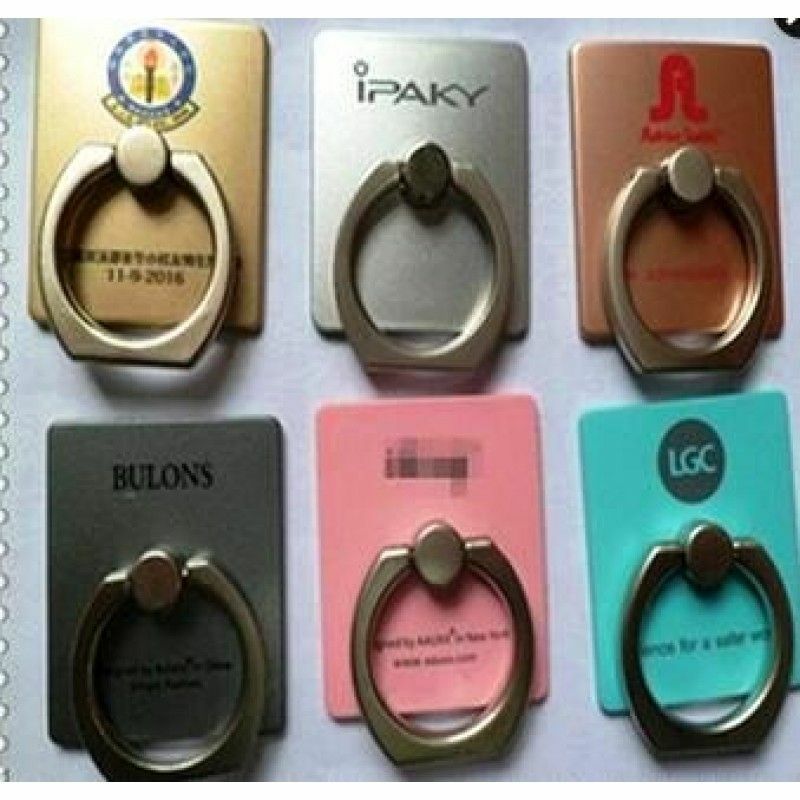 We customize personalized leather luggage tags,fun animal-friendly faux leather luggage tags,ID custom business logo imprinted laminated luggage tags,secure personalized ID badge holders, rustic promotional wooden luggage tags, useful customized company logo write-on luggage tags and so on.Contact us service support for more details. 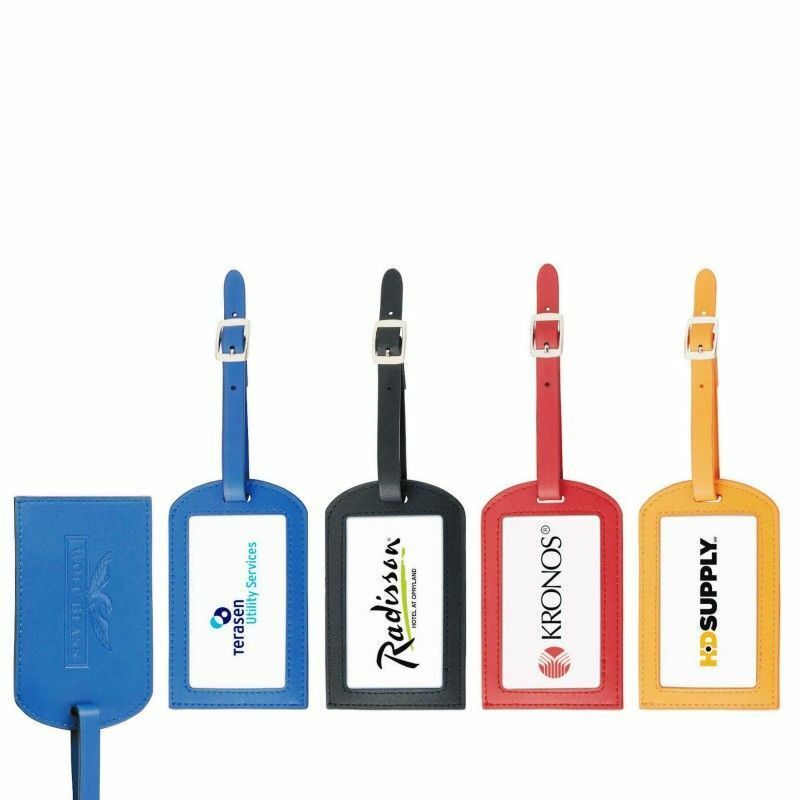 Brushed Steel Luggage Tag W/ Steel Cable StrapCategory:TagsColors:Brushed Satin SilverThemes:Travel,..
Buckle-it Luggage TagCategory:TagsColors:Translucent Blue, Translucent Red, Translucent Green, Trans..
Checkerboard Leather Luggage TagCategory:TagsColors:Black, RedThemes:Travel, VacationImprint:2 1/2&q..
Colorplay Leather Luggage TagCategory:TagsColors:Black, Blue, Red, Green, OrangeThemes:Travel, Vacat..
Colorplay Leather Luggage Tag With Business Card HolderCategory:TagsColors:Black, Red, Blue, OrangeT..
Colorplay Leather Luggage Tag With Magnetic ClosureCategory:TagsColors:Black, Blue, Red, Green, Oran.. 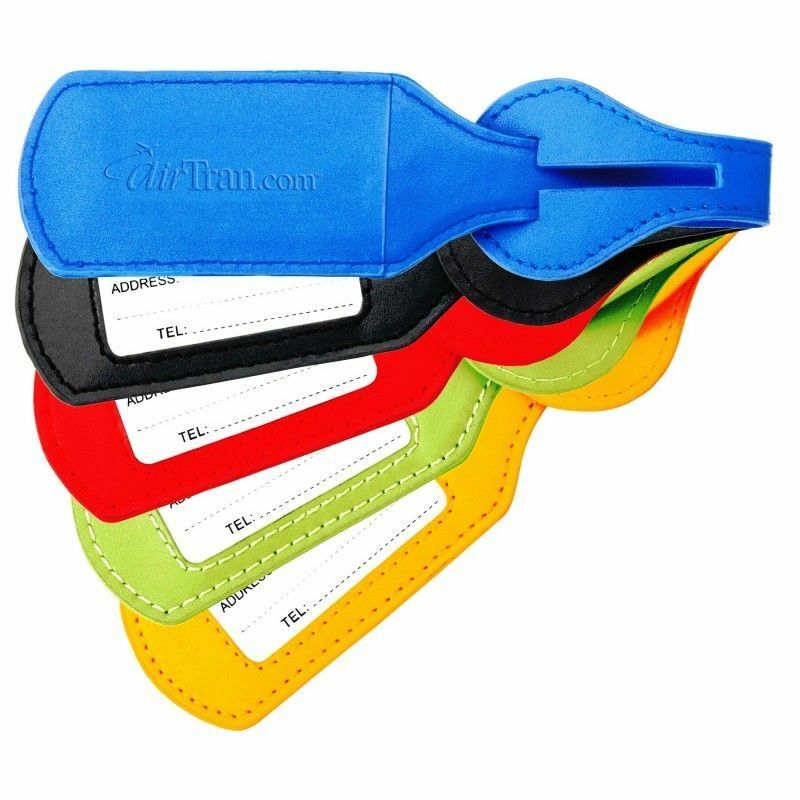 Custom Hi-flyer Luggage TagCategory:Tags, LuggageColors:AssortedThemes:Organization, Travel, Vacatio..
Explorer Luggage TagCategory:TagsColors:Translucent Blue, Translucent Red, Translucent Green, Transl..
Fabrizio Luggage TagCategory:TagsColors:Black, Brown, WhiteThemes:Travel, VacationImprint:2 1/2"..
Find Me Luggage WrapCategory:TagsColors:Black, Green/Black Trim, Lime Green/Black Trim, Orange/Black..
Freedom Leather Luggage Tag W/ Brass Swivel Silver Hook ClaspCategory:Tags, LuggageColors:Black, Tan..
Go Explore! 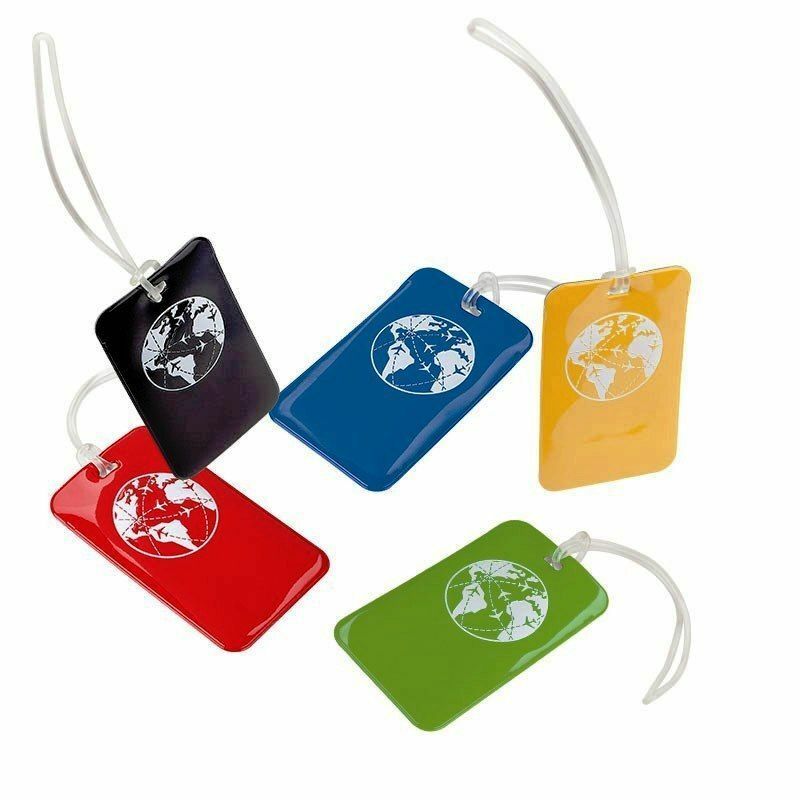 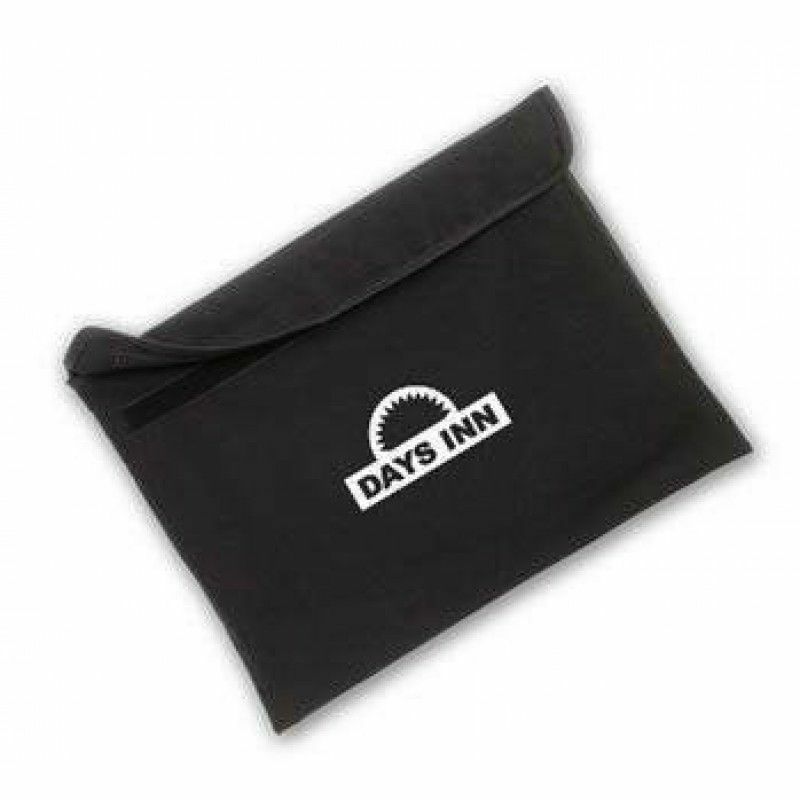 Luggage TagCategory:Luggage, TagsColors:Black, Red, Yellow, Green, BlueThemes:American, ..